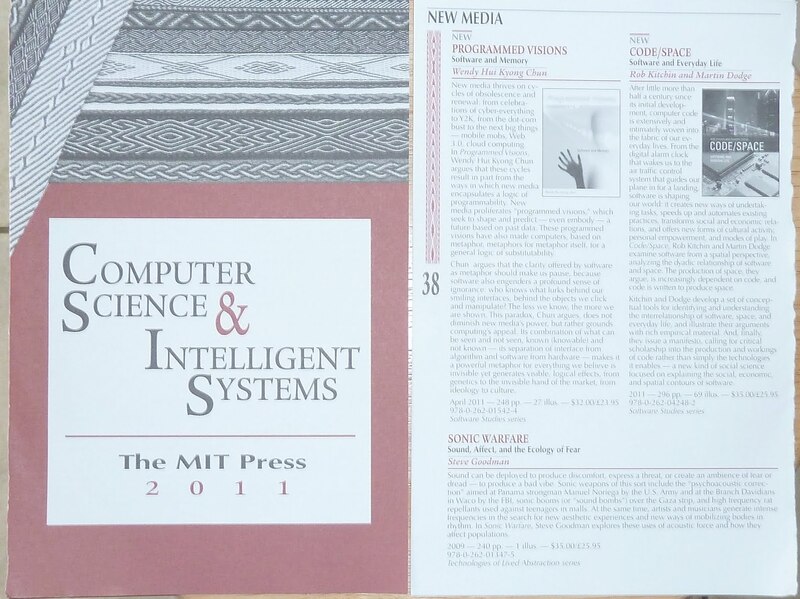 I was pleased that our book Code/Space got a nice feature in the new MIT Press catalogue for computer science, right next to Wendy Hui Kyong Chun's related book Programmed Visions. 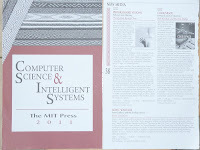 I am wondering how well Code/Space is being received - we are waiting for some reviews and citations. I spent much of last week working at the National Archives in London. I was looking in a range of different central government records for historic maps and plans related to various aspects of the built environment in Manchester. The research was kindly supported by a J.B. Harley Research Fellowship in the History of Cartography that I was awarded in 2010. It was enjoyable looking for old material but rather confusing at times - the scale of the available archives is somewhat overwhelming. Although the staff at the National Archives were very helpful it still took a couple of days to work out their systems and what kinds of material to order that were likely to yield interesting maps. 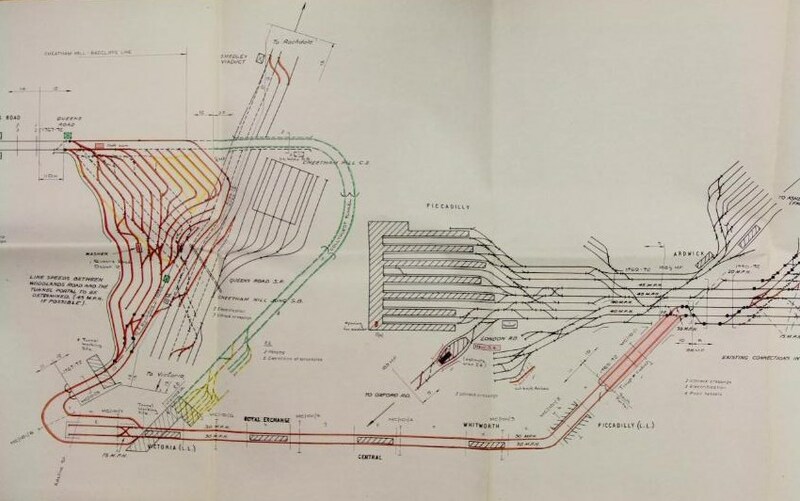 In the end I found interesting cartographic materials related to public transport plans, electricity infrastructure, city centre parking and second world war air raids. Some of these material will become part of the Mapping Manchester book I am working on with my colleague Chris Perkins. 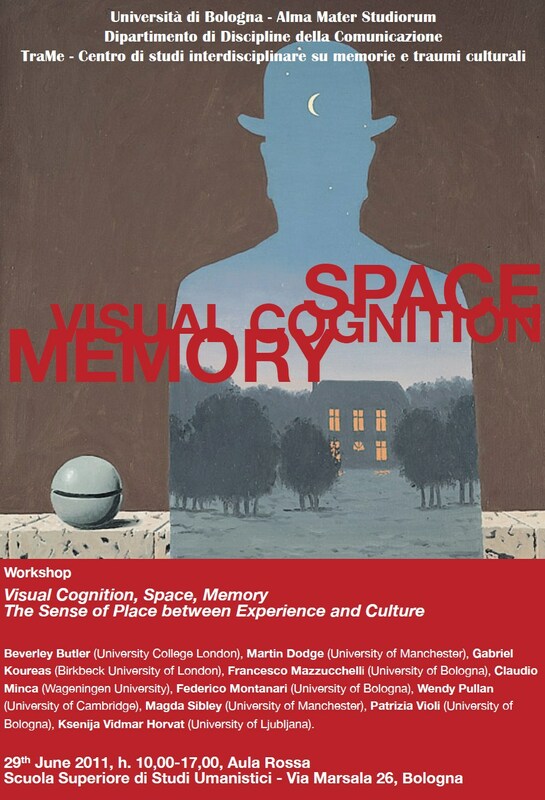 I was very pleased to have been invited to participate in an interesting workshop on visual cognition, space and memory in Bologna last week. The presentations at the workshop were fascinating, although largely beyond the core of my research. The people were also very friendly and welcoming of new ideas. I gave a talk arguing for the value of studying new forms of participatory mapping as a way to advance understanding of the authorship of representations of place. "My talk will consider newly emerging map-making practices - so-called crowd cartography - in relation to visual knowledge and embodied senses of place. I want to think about how scholar interested in visual cognition and everyday spaces might profitably analyse mapping projects, such as OpenStreetMap, considering the nature of collaborative authoring of place knowledge and map-based memories. The discussion with draw on theorisation in terms of sociologist George Ritzer's notion of 'prosumer societies', geographer Michael Goodchild's volunteerist 'citizen scientists' and economic commentator Nicholas Carr's critique on the 'ignorance of crowds'." It was not one of my most accomplished presentations to be honest – I was talking at the end of a long day in a very hot room and my energy levels was seriously flagging. But if you’re at all interested you can download my slides from here. The workshop was well organised, in large part, by Francesco Mazzucchelli at TraMe - Centro di studi interdisciplinare su memorie e traumi culturali, at the Università di Bologna. 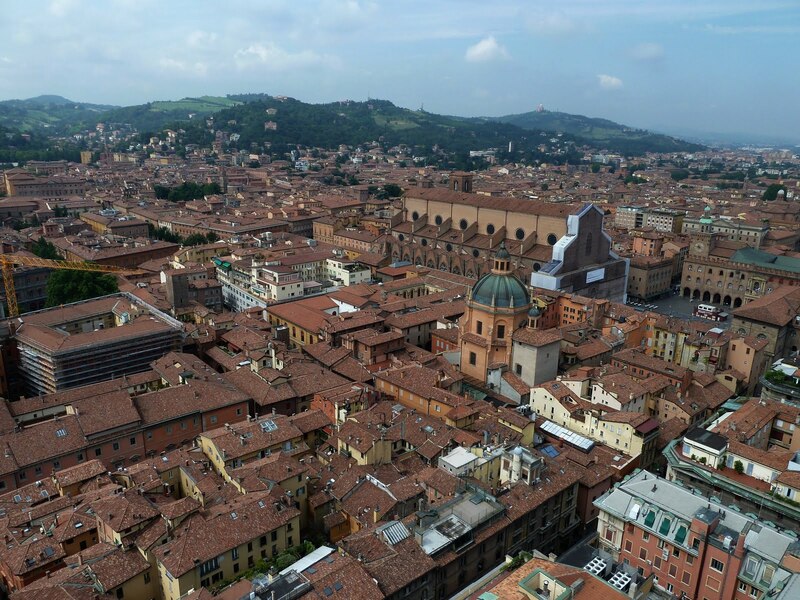 It was also my first trip to Italy and I really enjoyed a spare day after the workshop to do some exploring through the centre of Bologna. 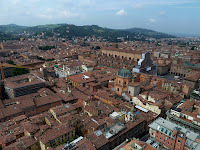 A lovely historic city – best view from the top of the Asinelli Tower (see the typical tourist gaze photo I took of the cityscape at the top of this post).